The riband with latex thread is a grosgrain ribbon, which is made of polyester yarns with additional interlacing of threads of latex. We use high-quality imported latex threads. The ribbon is available in two colors: black and white. The standard width of the ribbon is 25 mm. 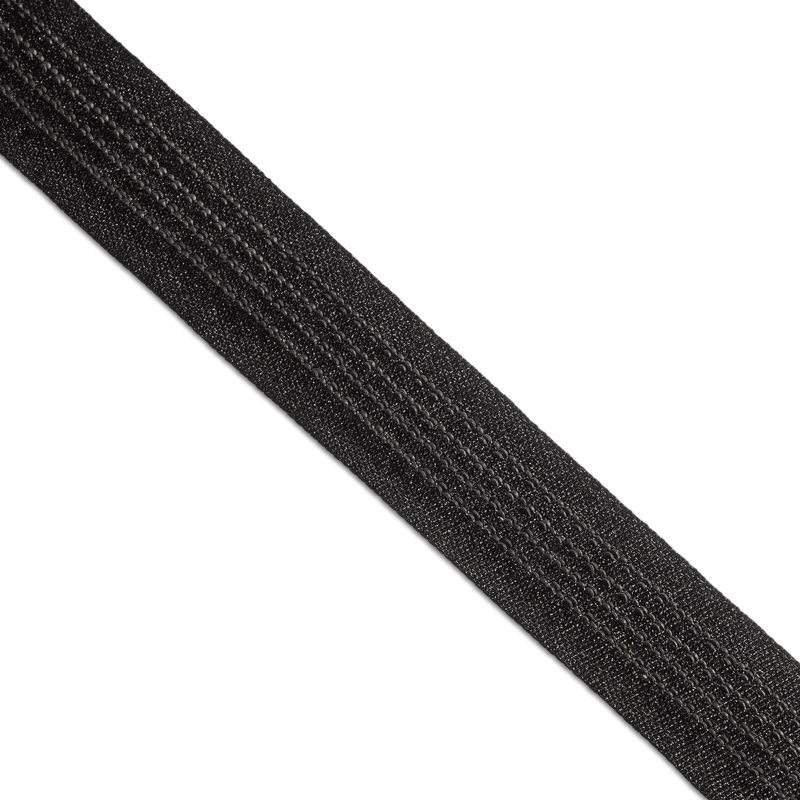 Due to our own production, we can produce ribbons of different widths on request. In addition, we have extensive experience working with samples in order to create the closest to the original analog. Stiffening of the edges and bends of the product. This ribbon is often used in the manufacture of sports and specialized clothing and in the manufacture of military equipment. Due to the ribbon, the density of belts of skirts, dresses and trousers increases. 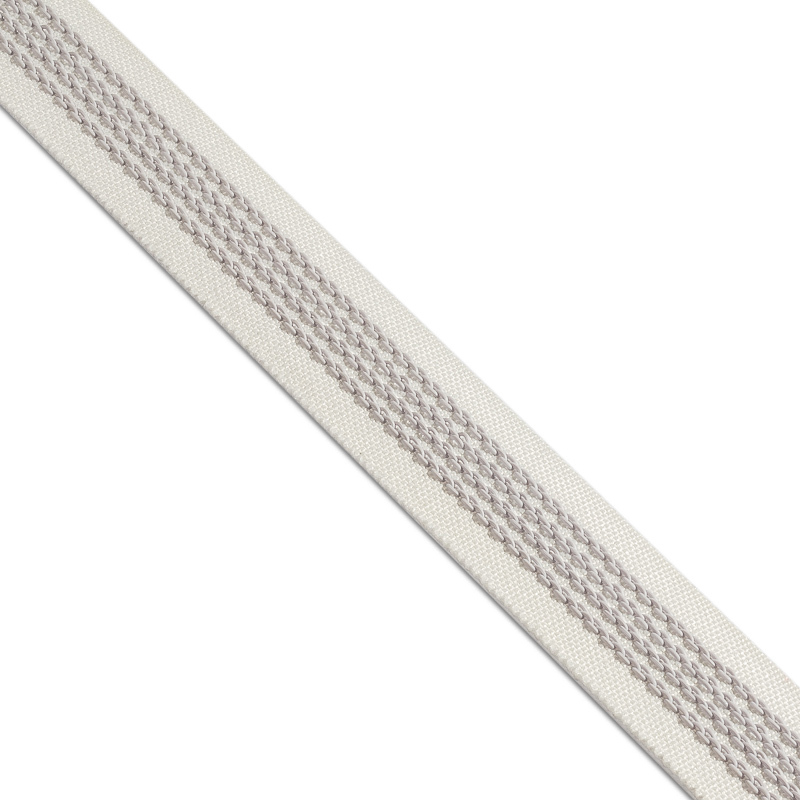 This ribbon is actively used in the manufacture of orthopedic corsets. OOO “PTGO SEVER” offers you to buy a riband with latex thread of excellent quality and at favorable prices. To buy a ribbon from the manufacturer is very simple! Call us on the phones listed in the contacts, and in the shortest time you will get what you need! We work all over Russia. We cooperate with many transport companies, which contributes to timely delivery within the deadlines set by the client.